I spent my holidays reflecting on the incredible momentum behind computer science — from hundreds of partners, to tens of thousands of educators, to millions of students and parents. Most people who hear about Code.org see the glitz: the Hour of Code, celebrities, and marketing. 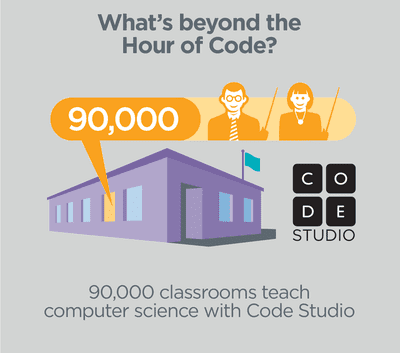 Indeed, with the help of the US President and other world leaders, Anna & Elsa from Frozen, and every Apple and Microsoft store, the Hour of Code beat even our wildest expectations. 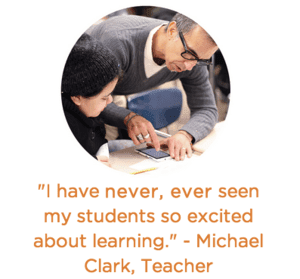 We’ve developed 100 hours of follow-on curriculum that’s taught in 90,000 schools worldwide. With 4M students enrolled, it receives consistently positive feedback. We all know the tech industry has a workplace diversity problem. Diversity in computer science education is even worse. We’re solving it at scale by teaching kids younger and focusing on urban schools. Today only a few thousand female, African American or Hispanic students earn degrees in CS each year. The entire US has only 550,000 female software professionals. 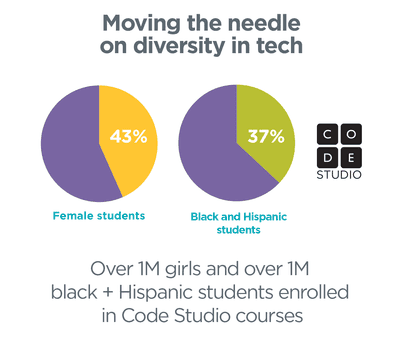 By contrast, our intro courses reach 1 million girls and 1 million black and Hispanic students! Since 2013, our coalition of advocacy partners has changed policies in 16 states. 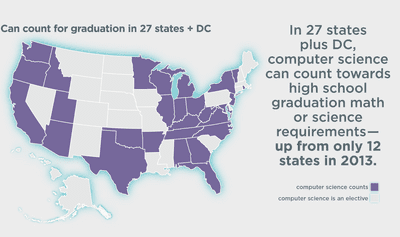 We’re proud to say that in 25 states + DC, computer science can finally count for high school graduation. 75% of US students live in these states. 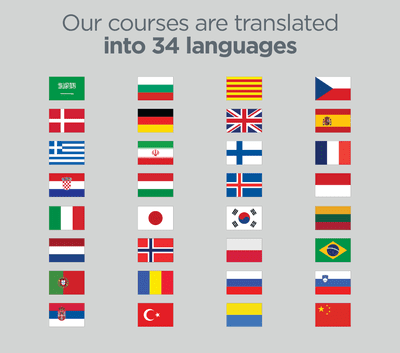 We’ve translated our lessons into 34 languages and established international partnerships in the UK, Italy, Argentina, Brazil, Romania, Albania, and the Middle East. Looking to 2015, we have a ton of work ahead, but I’ve also never felt more confident in our ability to realize our vision that every student in every school should have the opportunity to study computer science. This isn’t just something we accomplish on our own. Our work builds on decades of effort, by many organizations and individuals who helped establish, fund, and spread computer science. Our impact is made possible by generous supporters like you.